They are nostalgic, yet critical, but also happy to take on the role of Opel brand ambassadors. Who are they? The former managers from the International Technical Development Center. Opel Post visited them at one of their regular meetings. 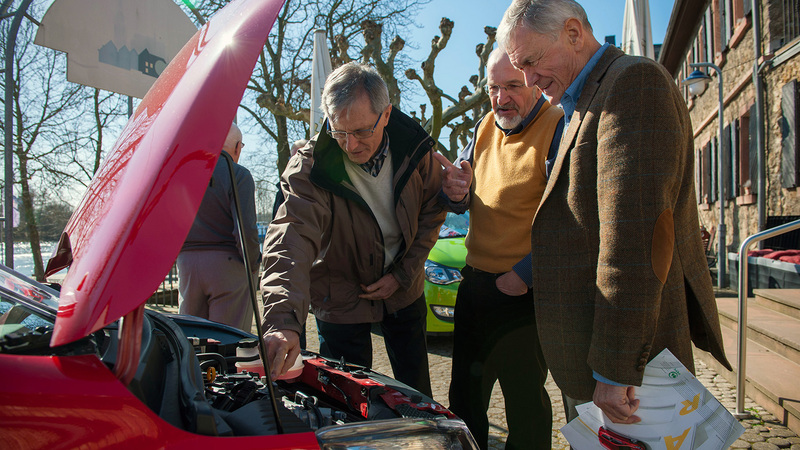 Look under the hood: Ekkehard Giebel, Hans Weidner and Herbert Tesarek (from left) examine new 1.0 ECOTEC with 55 kW/75 hp. The all-aluminum one-liter, three-cylinder gasoline engine can reduce consumption to 4.3 liters of gasoline per 100 kilometers in the combined cycle, which is equivalent to 99 grams of carbon dioxide per kilometer. 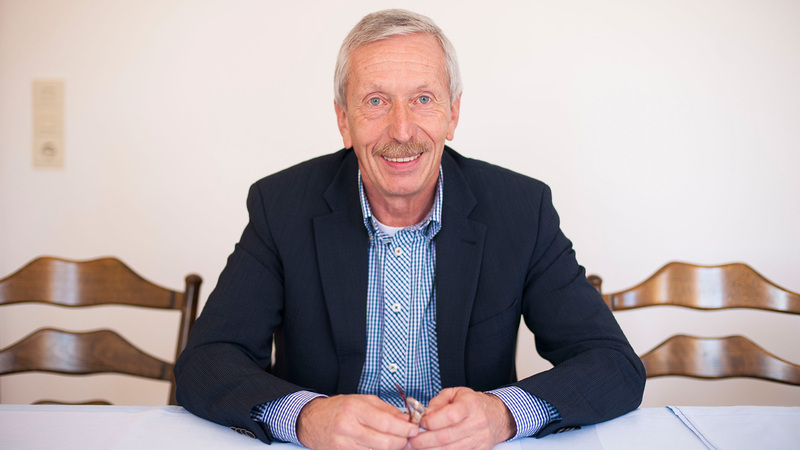 That’s how Horst Müller describes how he found his way into the ITDC Retiree Group. Established in 1972, the group currently consists of 141 former managers who worked at the International Technical Development Center until they withdrew from the company. 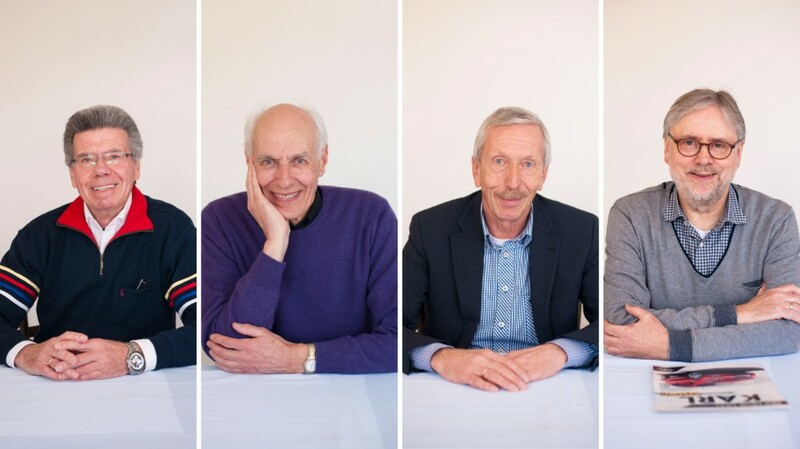 The former colleagues – some in their sixties, others getting ready to celebrate their 90th birthdays – meet twice a year in March and November at Zum Hirschen, a rustic restaurant on the banks of the Main River in Flörsheim, Germany. The old hands also meet up every two years when the Frankfurt Motor Show (IAA) takes place. The group comes together at the Dudenhofen test center to analyze Opel’s new engines and models. Horst Müller was at Opel from 1964 to 2004 and acts as the ‘administrative’ head of the group, as the 74-year-old puts it. In practice, this means providing information about meetings, either by e-mail or via post or fax for the ten percent who have yet to join the digital age. He also coordinates with Udo Zuck. 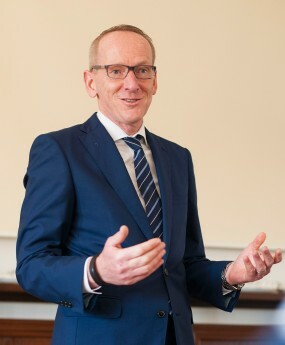 The Technical Lead Engineer from experimental design provides the former ITDC managers with new test vehicles, holds technical presentations on new Opel products, and looks after speakers, many active Opel employees who hold specialist presentations for the former Opel managers. The former ITDC protagonists make for a nostalgic trip deep inside the Opel brand. Sometimes the presentations focus on the big picture, or in other words, market position, products, and company strategy. This was the case recently when Opel Group CEO Karl-Thomas Neumann stopped by. “They mostly cover technical topics. That’s what concerned most of us for many years and these are the topics we’re still most interested in,” says Müller. Speakers also put a spotlight on pioneering technologies such as human machine interaction (HMI) or the drive systems of the future. Aside from presentations, much of what goes on at the ITDC Retiree Group revolves around the past and the present. The present provides plenty of questions and issues to discuss. How is Opel doing? What benefits are the new Corsa and the KARL scoring points with in the compact car segment? And how much can the new Astra stir up the competition? In contrast, the past offers the ITEZ managers a chance to take a nostalgic trip down memory lane right into the heart of the lightning bolt brand. Back then, the abbreviation FWD did not just mean front-wheel drive. It was a tongue-in-cheek way of saying ‘Fritz Will Das’ (Fritz Says So), alluding to Friedrich Lohr, who was responsible for development. They can go back to a time when former Head Designer Karl Stief was given the task by GM headquarters to develop the “perfect answer to Volkswagen” – the beetle was what was really meant – and the first Kadett A finally rolled off the assembly line in 1962. They reminisce about the second half of the 1970s, the era of the Ascona B and the Monza, when the abbreviation FWD did not just mean front-wheel drive. Back then, it was a tongue-in-cheek way of saying ‘Fritz Will Das’ (Fritz Says So), alluding to Friedrich Lohr, who was responsible for development at that time and later delegated management of the retiree group to Müller. The group does not tiptoe around discussing the years when the Opel brand sustained damage. “Things are looking a whole lot better now. 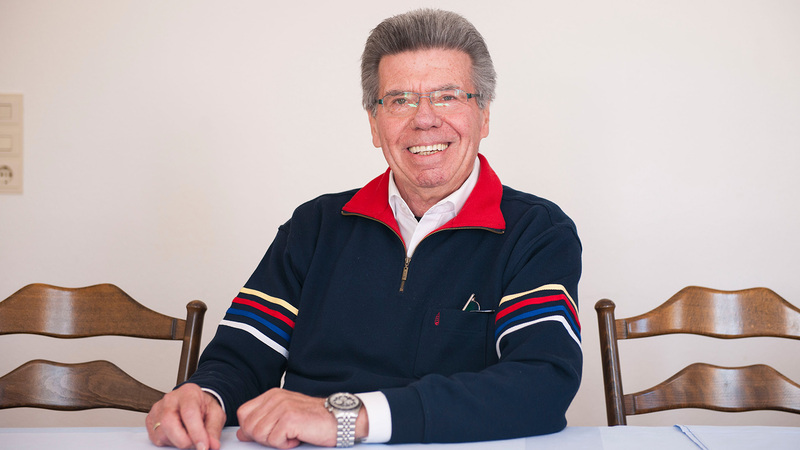 We’re really gaining ground,” says Erhard Voss, who heads the ITDC Retiree Group with Müller. 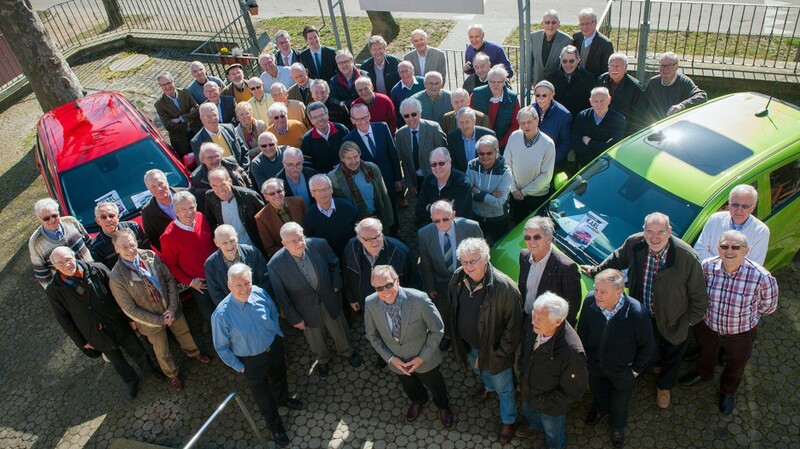 Opel Post visited the men at the 93rd meeting of the ITDC Retiree Group in Flörsheim. We have put together brief profiles of four of the members here. On the first floor of the restaurant “Zum Hirschen”: Horst Müller looks back at 40 years at Opel. It was a most charming form of bribery that led Horst Müller’s parents to drive an Opel. “Mr. Reichert, an Opel dealer in Mainz at that time, gave my mother three roses for Easter,” says Horst Müller, a fourth grader at the time. 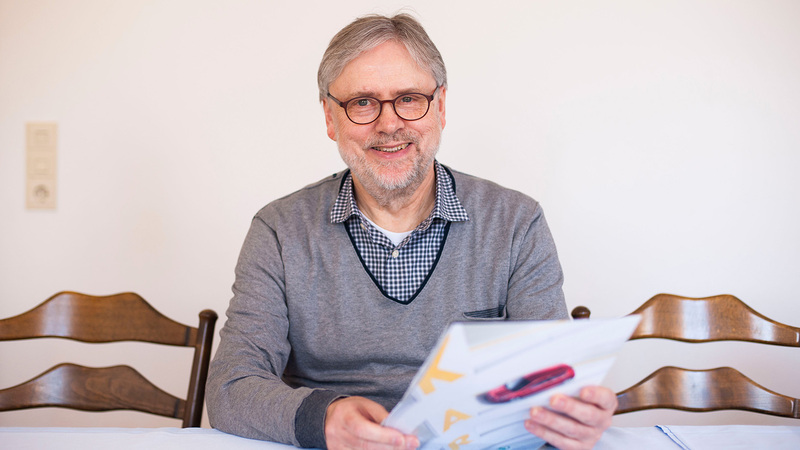 Mama Müller was impressed and said: “From now on, it’s Opel or nothing!” Horst Müller joined Opel in 1964 after completing his studies in electrical engineering. When he drove up to Rüsselsheim in his Alfa Romeo sports car on his first day, his future colleagues were quick to point out his faux pas. From then on, Müller stuck to his mother’s philosophy. The Insignia that he drives today is his 66th Opel vehicle. “I made my most spectacular purchase at the end of the 1960s when I got a GT,” he recalls. Müller’s red Coupé missed out on the wheel spacers, and thanks to a special exhaust feature, he had to fork out 300 German marks at the licensing office. This was because the GT was classed as a special vehicle. Erhard Voss was active at the ITDC for 34 years. Erhard Voss’ memories of automobiles begin with a car dealer, too, but his mother is not part of the story and there were no roses involved either, just his father, Franz Josef. He ran a car dealership in the Saarland. “He made sure that I had gasoline in my blood.” After 34 years in the ITEDC, Voss also has Opel in his heart. Like Horst Müller, Voss’ first vehicle wasn’t an Opel, but rather an NSU Prinz 3 (the NSU brand later merged with Audi). The mechanical engineer quickly traded it in for a Manta. Voss joined Opel in 1978. He specialized in developing catalytic converters at the beginning of the 1980s. “We managed to make Opel the first European high-volume carmaker to introduce the catalytic converter as a standard feature.” By mid-1989, 19 out of 20 Opel gas-powered models featured an exhaust purifier. 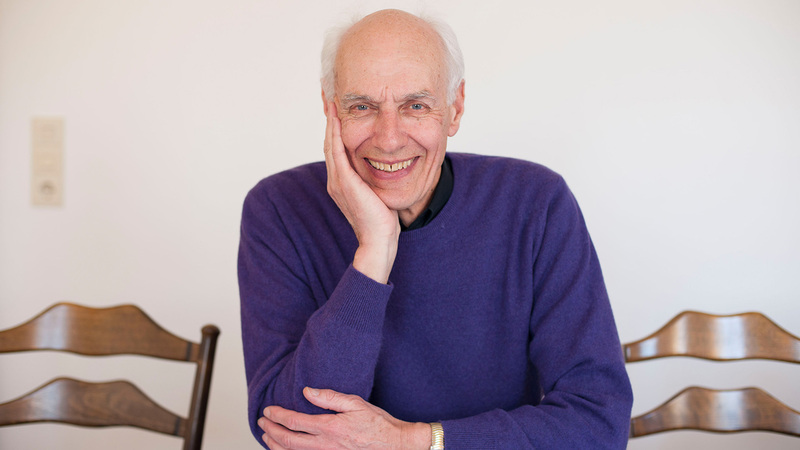 David West’s Rüsselsheim story starts in 1977. He definitely has to make the longest journey to get to the retiree gathering in Flörsheim: David West lives in a small village in Oxfordshire, around 100 kilometers north-west of London. His Rüsselsheim story begins back in 1977. At that time, Opel was busy connecting its model program with the product lines of the Vauxhall and Bedford brands. West, a vehicle engineer, traveled from Luton to assist in managing the technical measures. Peter Hendrich was employed at Opel for 37 years. Mechanical engineer Peter Hendrich joined the ITEZ one year before David West. His area of expertise was skeleton construction of seats. “I am partially responsible for what’s installed in the Rekord and Kadett D,” says Hendrich today. He ended his career as Director Interior. Whether for the steering wheel or the airbags, Hendrich’s team developed the components. The Palexpo convention center in Geneva, Switzerland, GM headquarters in Detroit, USA, and Zum Hirschen restaurant in Flörsheim, Germany: The head of a globally active company has an incredibly diverse schedule. This is true for Karl-Thomas Neumann, too, as is clear from his activities this March. Shortly after the Geneva Motor Show and a summit in the U.S., Neumann touched down in Frankfurt at 6:30 a.m. He posed for a group photograph with the former ITDC managers at 10 a.m.
That was followed by a 40-minute keynote speech that saw Neumann report on his own life in the automotive industry and the general situation facing the sector and Opel in particular. In the follow-up discussion, the former ITDC managers exchanged ideas with Neumann on products and company strategy, among other things.